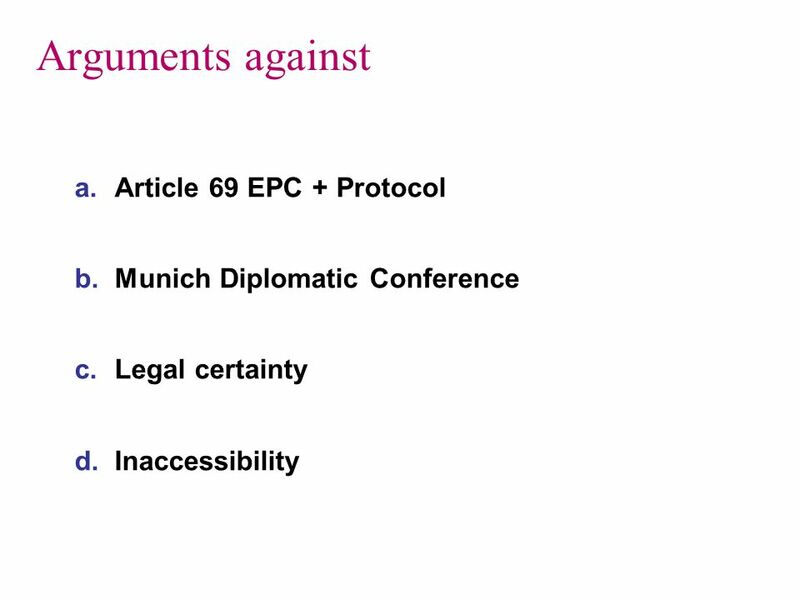 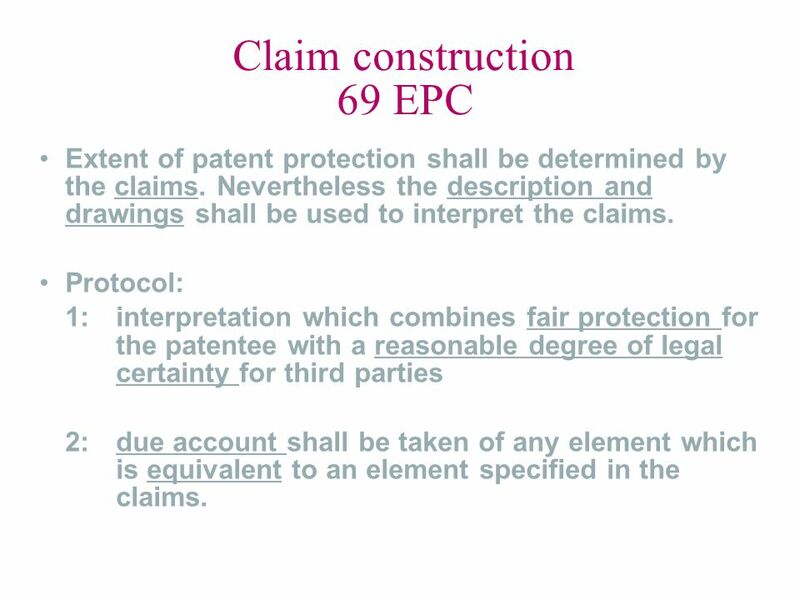 Extent of patent protection shall be determined by the claims. 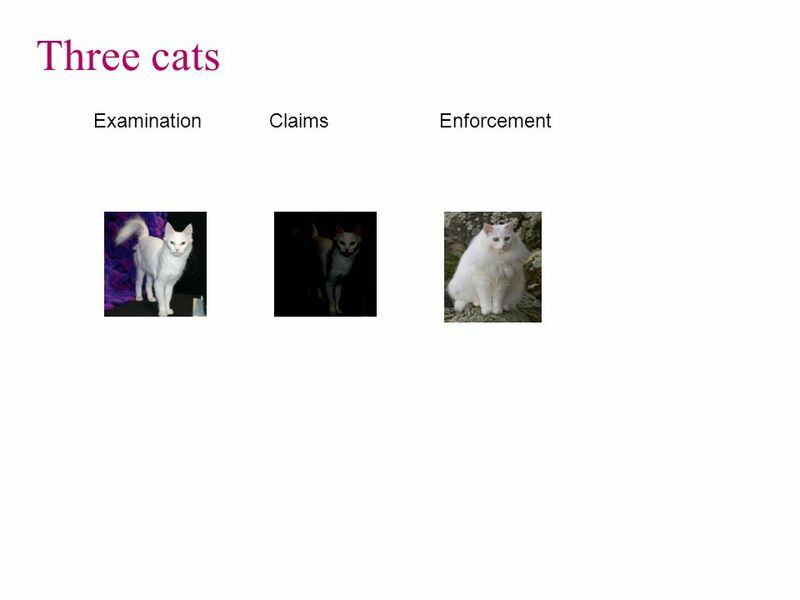 Nevertheless the description and drawings shall be used to interpret the claims. 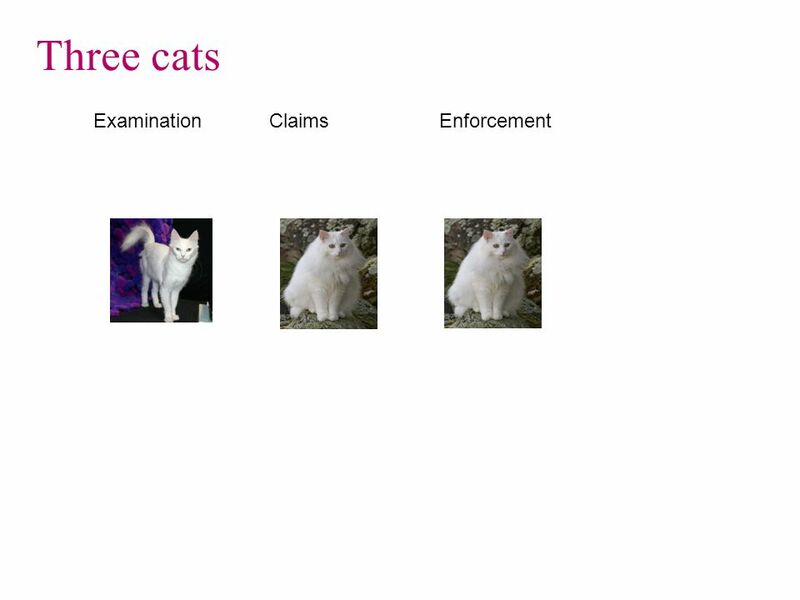 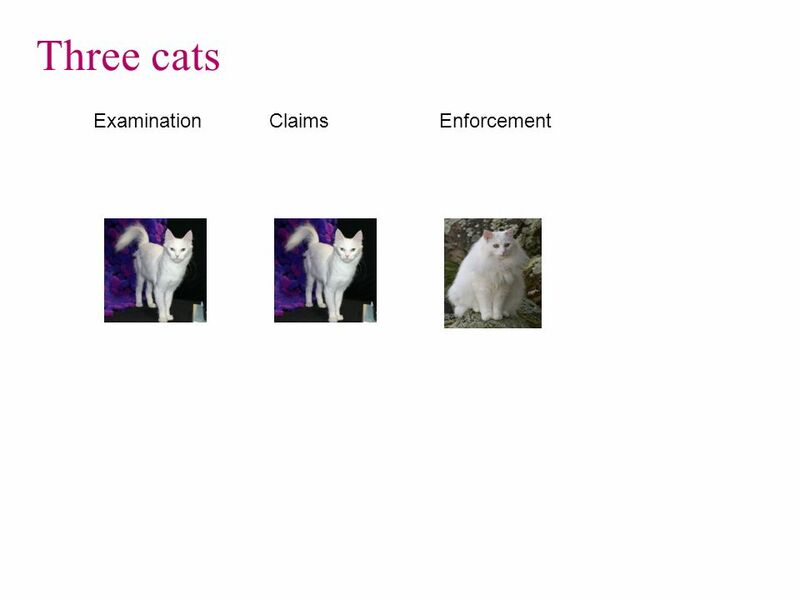 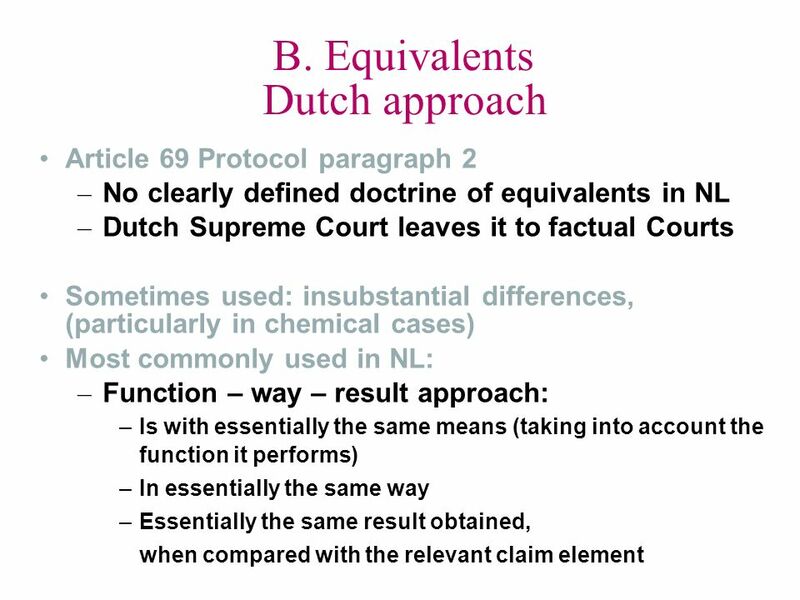 Protocol: 1: interpretation which combines fair protection for the patentee with a reasonable degree of legal certainty for third parties 2:	due account shall be taken of any element which is equivalent to an element specified in the claims. 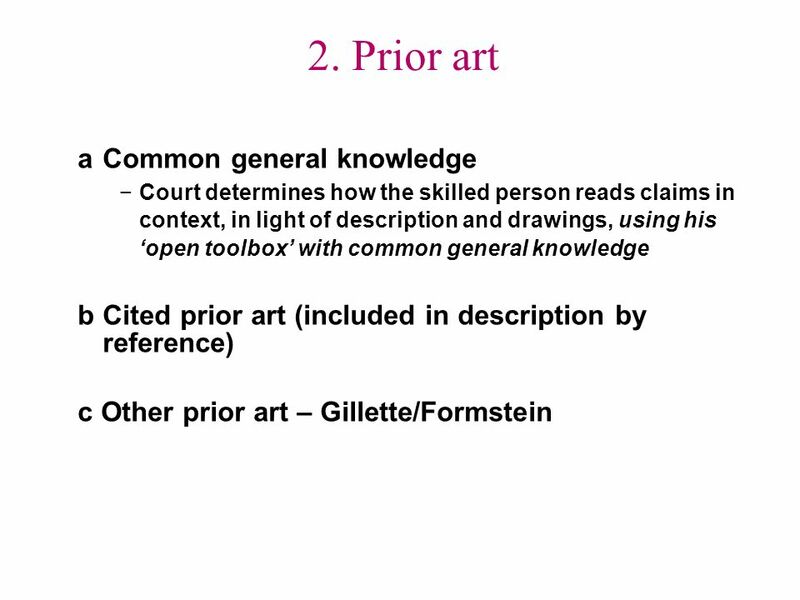 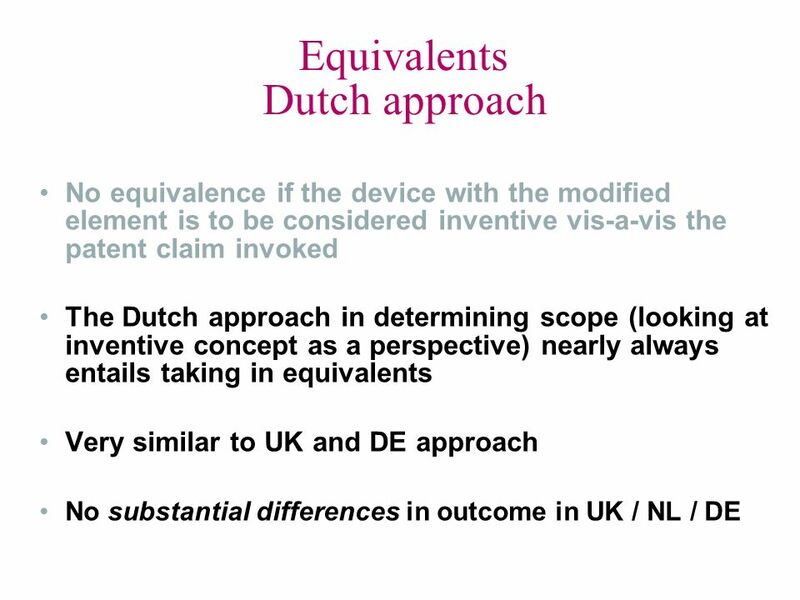 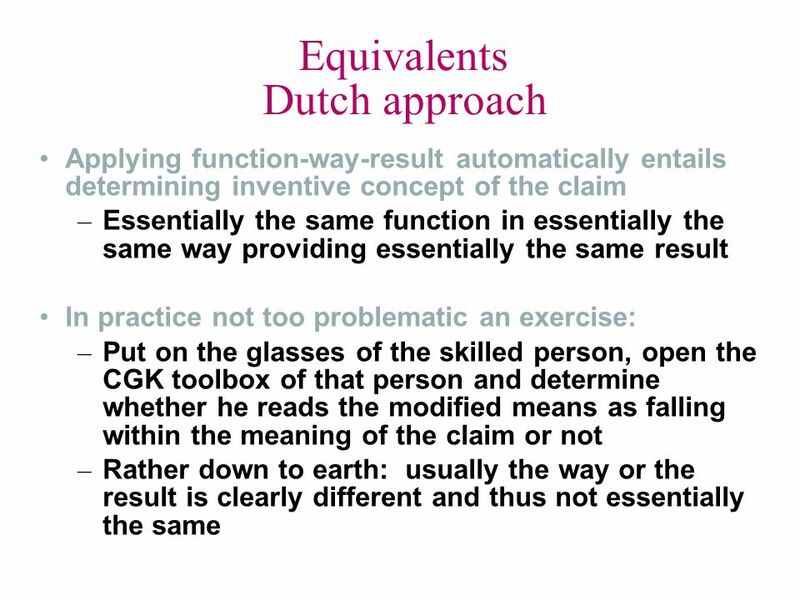 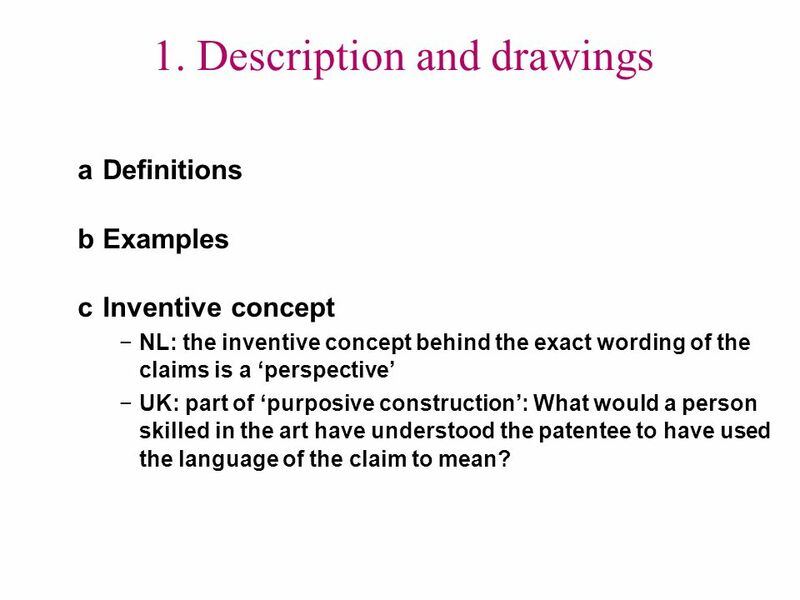 a	Definitions b	Examples c	Inventive concept NL: the inventive concept behind the exact wording of the claims is a ‘perspective’ UK: part of ‘purposive construction’: What would a person skilled in the art have understood the patentee to have used the language of the claim to mean? 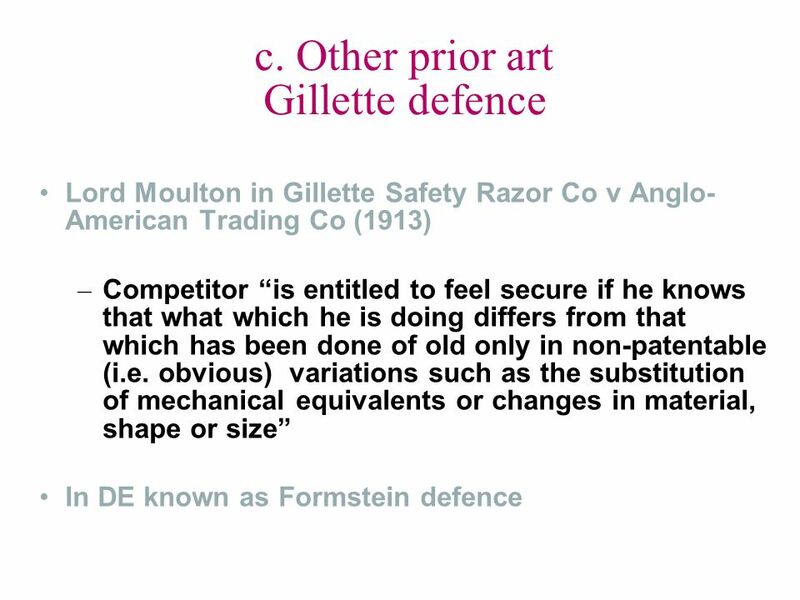 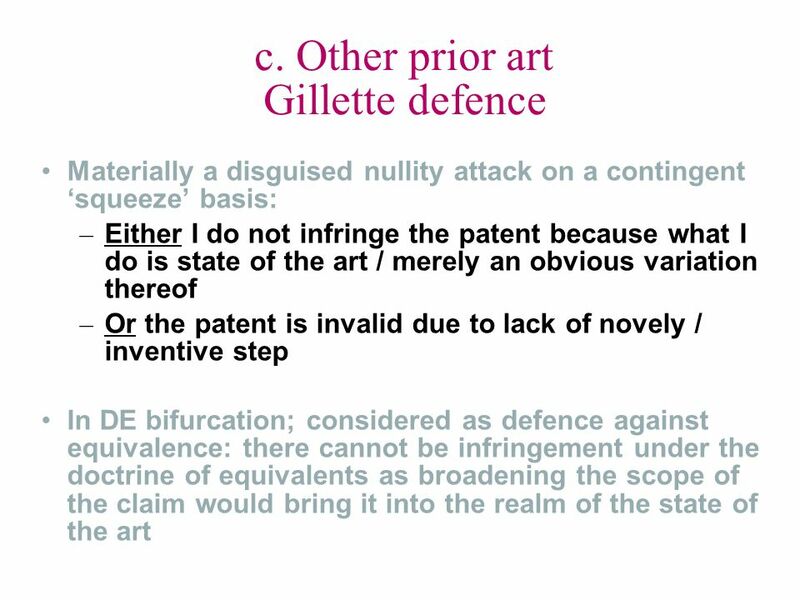 What was previously said to be outside the scope of the patent to argue novelty / inventive step, cannot be lateron argued to be within the scope of the claim when claiming infringement The patentee is considered to have abandoned protection now sought for. 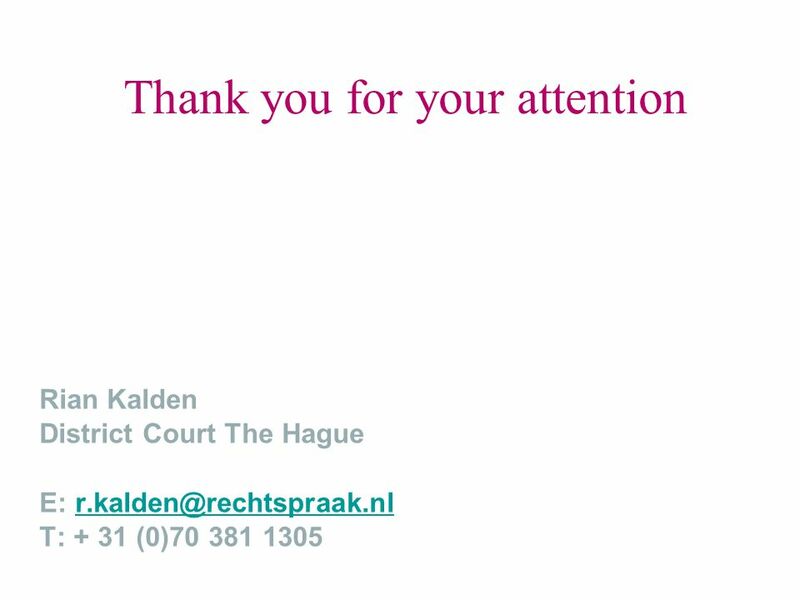 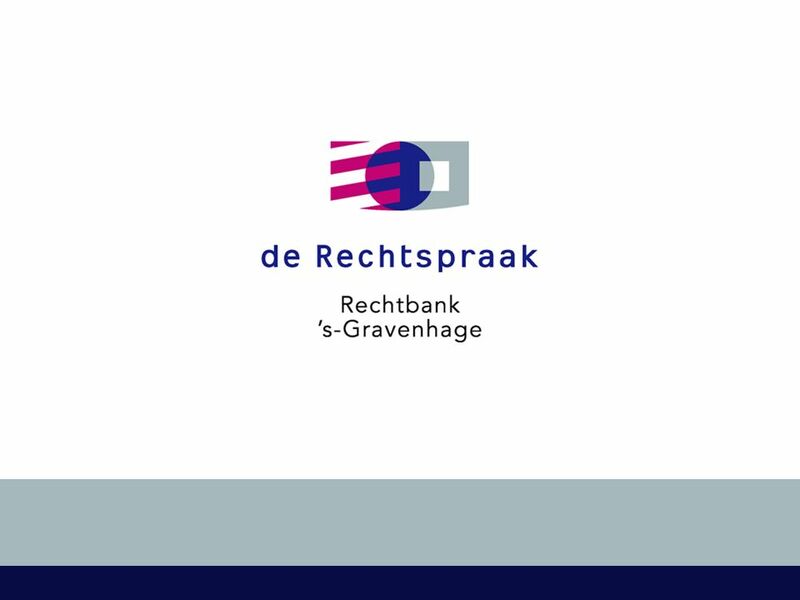 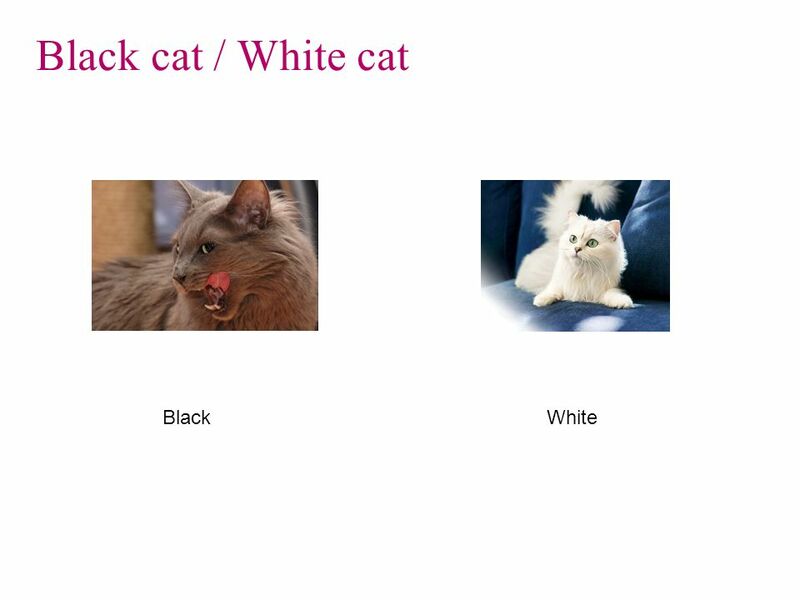 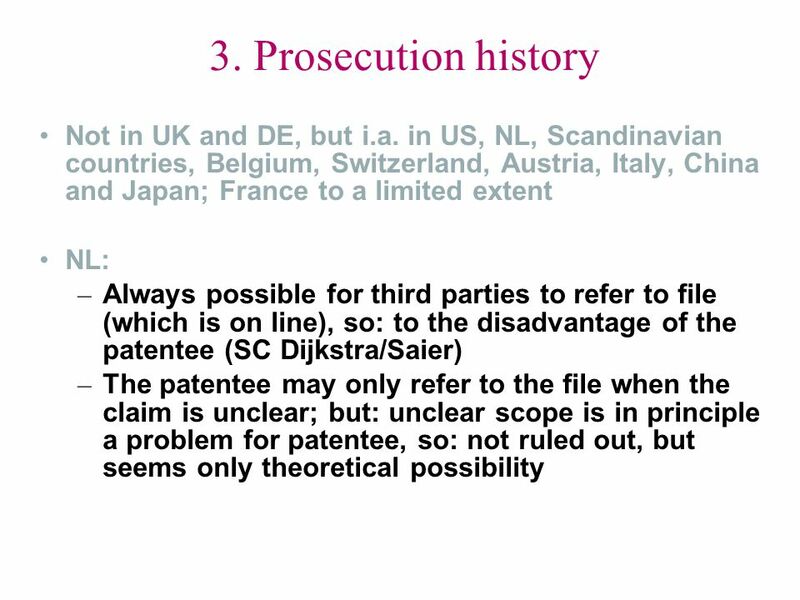 Download ppt "CIER-lezing Ex parte maatregelen"
Practice of IP High Court in Infringement Cases involving Doctrine of Equivalents April 19, 2012 Intellectual Property High Court Judge, Hideko Takemiya. 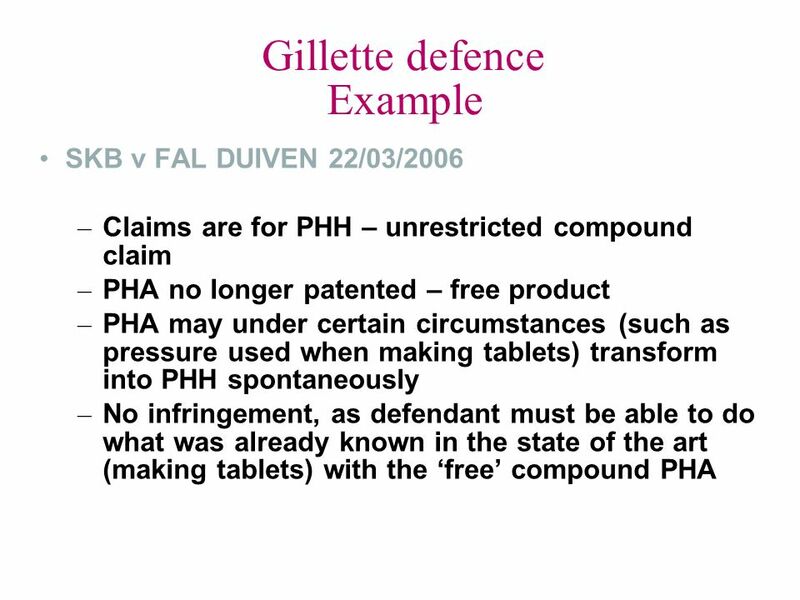 (Week 7) RJM - IP: Sci Ev in Pat Lit - Spring Today's Agenda Student Presentations Helio, then JAPED, then SHARC O2 Micro, review of. 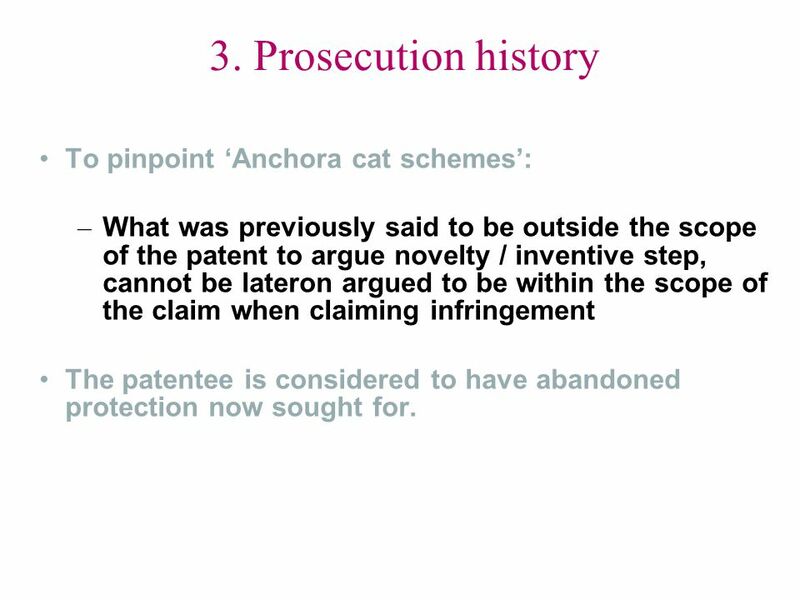 Invention Spotting – Identifying Patentable Inventions Martin Vinsome June 2012. 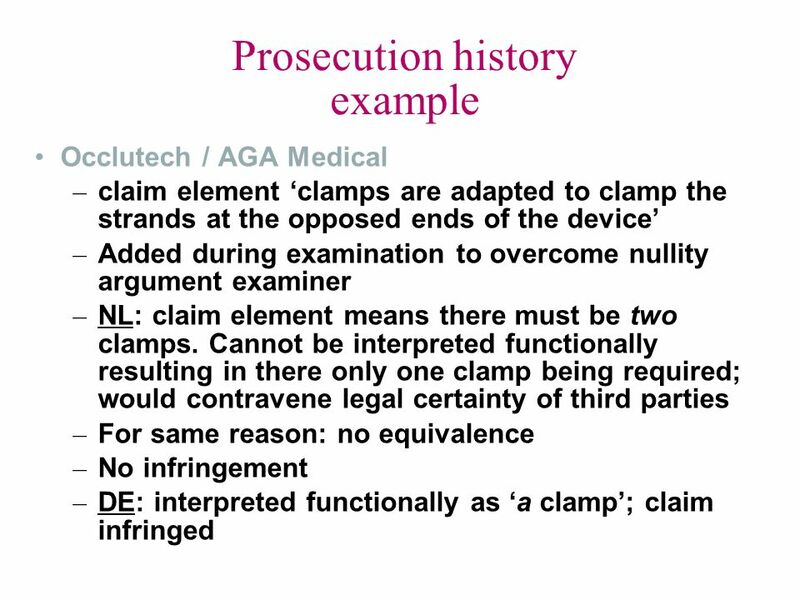 Claim Interpretation By: Michael A. Leonard II and Jared T. Olson. 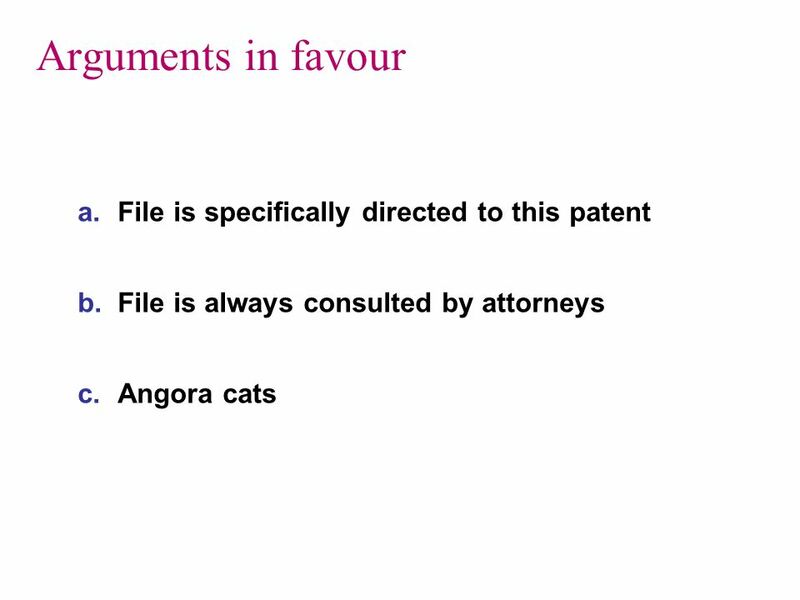 1 Remedies for True Owner of Right to Obtain Patent against Usurped Patent AIPLA MWI IP Practice in Japan Committee Pre-Meeting Sunday, January 22, 2012. 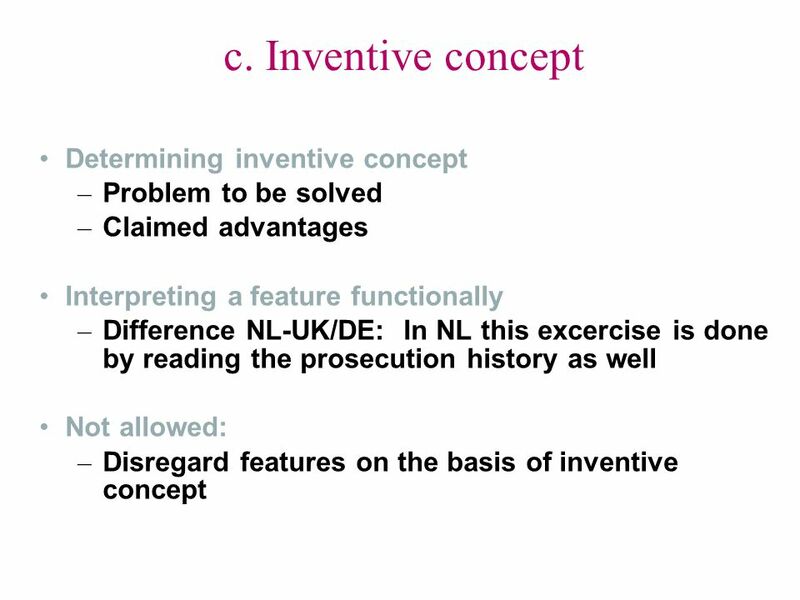 Patent Protection of Technical Equivalents in Germany Prof. Dr. Christian Osterrieth Copenhagen August 2008. 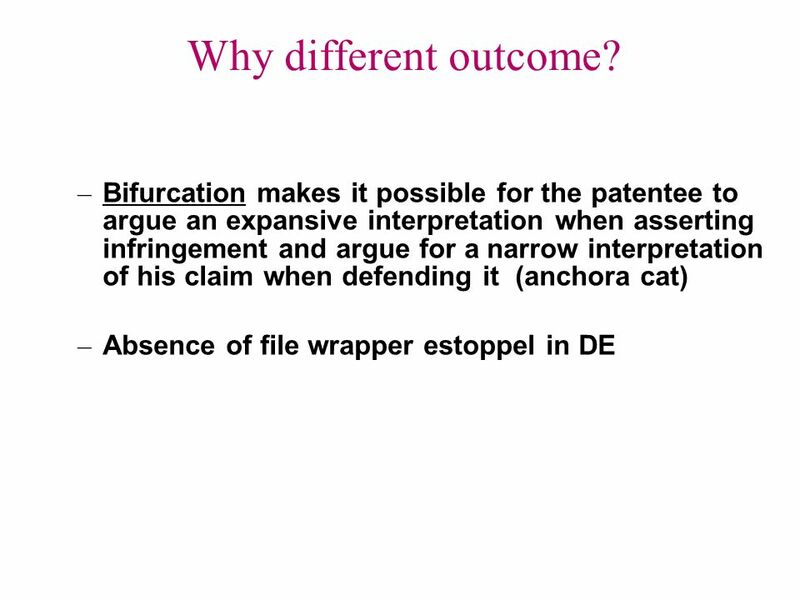 The Case in Favour of Prosecution History Estoppel EPLAW Annual Meeting & Congress, Brussels, 2 December 2011 Jean-Christophe Troussel Bird & Bird Brussels. 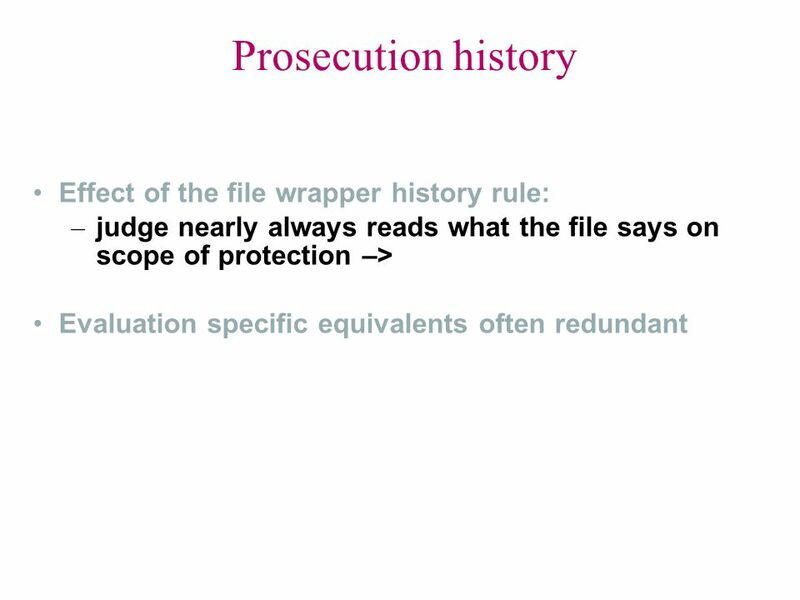 Determining Obviousness under 35 USC 103 in view of KSR International Co. v. Teleflex TC3600 Business Methods January 2008. 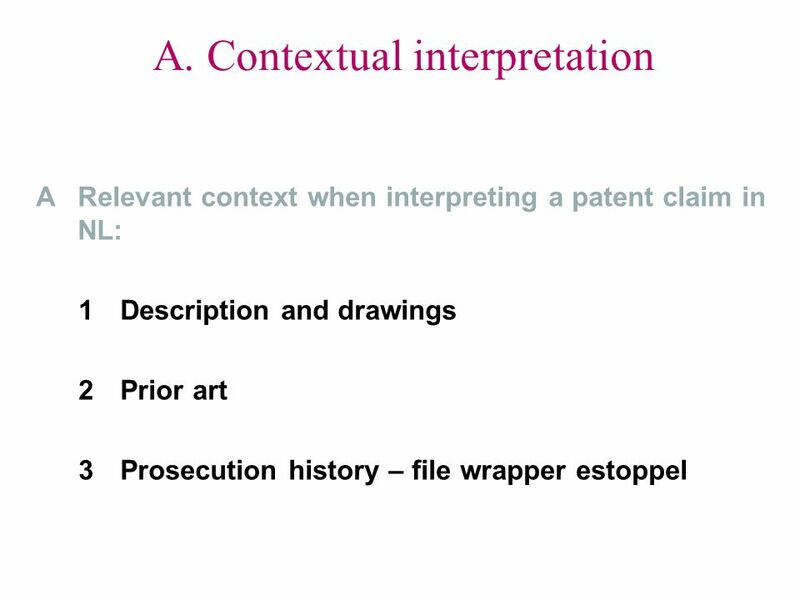 PatentEng-Berkeley-Lavian Week 6: Validity and Infringement 1 Patent Engineering IEOR 190G CET: Center for Entrepreneurship &Technology Week 6 Dr. Tal.